One of the most popular comedy shows around and featuring some of Victoria’s top comics. 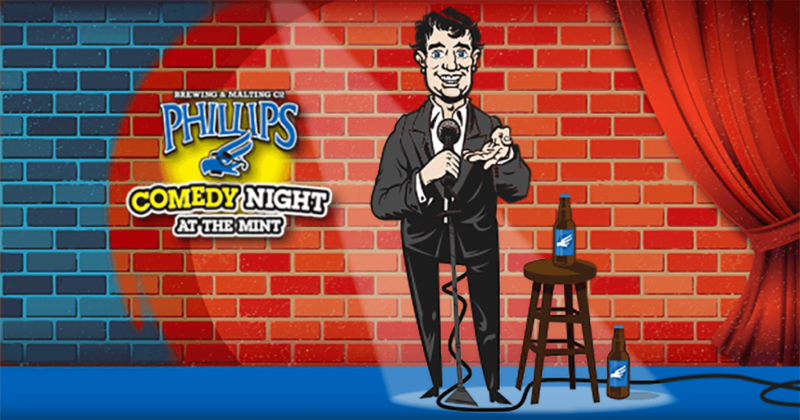 Comedy night at The Mint is sponsored by Phillips Brewing. Come downstairs and enjoy a special comedy menu featuring Phillips beer and the delicious west coast Himalayan cuisine that the Mint is famous for. Bring your friends! Tickets are $7 online or $10 at the door. Doors for the performance space opens at 7:00pm and the show starts at 8:00pm. Please arrive 45 minutes to ensure you get the best seats possible. Hosted by Drew Farrance with Mike Delmont headlining.